13289 Wyandot Street Westminster, CO. | MLS# 9642754 | Tri-County Associates: Broomfield, Westminster Residential Real Estate. Beautifully updated Two Story home with finished basement in the desirable Amherst neighborhood, located in Adams 12 Five Star school district. The open floor plan features a main level Master bedroom with 5 piece bath including custom granite & tile work and walk-in closet, big kitchen filled with granite counters, lots of updated cabinets, S/S appliances and breakfast nook with bay window, separate dining room, living room with granite tile surrounding the gas log fireplace, powder room and spacious sun room just off the living room. Upstairs are the secondary bedrooms, updated full bath with skylight and a huge, sunny loft. The basement offers space for a 4th bedroom or additional family room with another bathroom. This home has been meticulously cared for. Other features include newer carpet, fresh paint, newer roof, built in shed in back, sprinklers and 3 car garage. 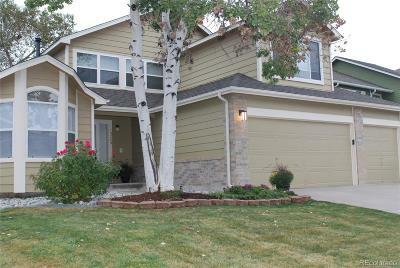 No HOA, great trail system, walk to parks, shopping, dining and minutes from Orchard Town Center.